While some fractures may be managed similarly in adults and children, physeal fractures are uniquely limited to the pediatric population and require special consideration. Although physeal fractures about the knee are relatively rare, they are occurring more frequently due to increasing youth participation in sports and high-energy recreational activities. The evaluation and management of distal femoral and proximal tibial physeal fractures are similar to one another, but fractures of the tibial spine and tibial tubercle are approached somewhat differently. A thorough understanding of the pertinent developmental anatomy is critical for correlating the clinical findings with the imaging work-up, and for anticipating the most common and the most serious complications of each fracture. Diagnosis is usually made with appropriate plain radiographs with advanced imaging often used for preoperative planning. In general, fracture pattern and degree of displacement determine the need for surgical intervention and the overall outcome. While a variety of fixation techniques or constructs may be used, because of the importance of restoring physeal and articular anatomy for avoidance of growth disturbance and degenerative joint disease, respectively, achieving anatomic, rigid fixation is of greater importance than with many other fracture locations in the growing skeleton. Rhianna M. Little declares that she has no conflict of interest. 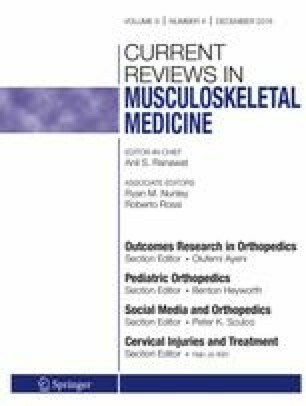 Matthew D. Milewski reports personal fees from Elsevier, Inc, and grants from Pediatric Orthopaedic Society of North America outside the submitted work.